Yes we love you Rush but why is the PC only 3 min with ample ads. Ok we can endure the ads but give us the whole program. Why not????? RUSH lU Agree with Steve about the cost for such little tiny tidbits. They might be tiny Rush but your programs are just like NUGGETS of PURE GOLD. I remember listening to you flying into COLORADO in the helicopter. You were shocked RUSH by the size of the crowds in that tiny town. They showed up for you RUSH! Like all of them I too felt that YOU had brought us (the common person) the VOICE of REASON over the airwaves. My girlfriend and I laughed from being so happy . We laughed and cried tears of elation and joy running down our cheeks. You have been a big part of all your listeners. My hands in the air. Okay about Steveâs message. I agree times are tough for a lot of us. I live on SS and am now a widow and in very bad health. Because I was not married to my husband when he was in the service I was not privy to his life insurance. He was ARMY AIRBORNE RANGER. Not complaining just a fact. I canât afford to get to Drs let alone to pay subscriptions for your show or anybody else. I love your shows so much. I think you truly have your hand on the pulse of the nation. I miss not being able to hear you on the radio. Sadly the Reception is HORRIBLE. So please give us a break on the cost. In my case I have to $85.00 round trip to most of my Drs for my pain procedures. My husband and I weâre HIT head on by a young lady doing 65 miles per hour they a red light. I sold our home and vehicles etc to have enough money for my husbands 24/7 care. Itâs the truth. besides MY regular health issues which are numerous 1 biggie iM a polio survivor.Iâm home bound now. There was nothing left for my care.I only leave house except for Drs. Appts. I get one meal a day delivered to me. please consider giving us a break on the cost.. I might be old and sickly but I still vote by mail. But I need all the sources I can get to help be something that is lacking in our country. In my opinion our nation has to many UNINFORMED VOTERS. I really donât want to be one of those. So please consider the cost for people like me and STEVE the MARINE. Steve I appreciate so much your service to our country. SEMPER FI Now the fight is to keep our freedoms safe !!! 3 minutes is too little time,why not the whole program?? How do I listen to the whole thing? Rush is very informative & will give you the truth!!! Unbefreakinlievable I check my review and itâs changed to a negative narrative I DID NOT WRITE!And you canât even leave a review on Bill OâReilly! WHAT???? I am so grateful here in Hawaii for Rush being on the radio. Hearing him speak about President Trump made me a believer of the truth that are not taught or reported on tv. Thank you and Godbless. Succinct & Informative! A different perspective. Only wanted to know the cost to subscribe? This is better than listening to Einsteinium theory of What Happened to the Democrats! Two minutes isnât enough time with Rush. Rush puts his unique twist on daily snippets of important information. Brilliant delivery. Are all of the Podcasts only 1-3 minuets? People who say this is extreme are wrong. The truth hurts. Extreme and fictitious, maybe for older conservatives? Oh my, I was hoping to find some balanced news/perspective but some of this is just fictitious ( like the update on California water law ). So ridiculous. Maybe for an older conservative audience? Why does Rush sound like his speech has been turned to super fast speed? This just another fabulous way for me to get my daily dose of Rush wisdom. With a busy work day, I do not always have the ability to listen to the Rush show. Hey a little Rush is better than no Rush. Love the Pod cast. Short & Sweet, Delivers a Great Punch! I've enjoyed Rush's two-to-three minute updates for a long time and he has never failed to deliver. I've also enjoyed his commentary on radio. While I may not agree with everything he says, he has made me rethink about certain topics unlike leftist media that spout all the boring and predictable tripe. I recommend this podcast! 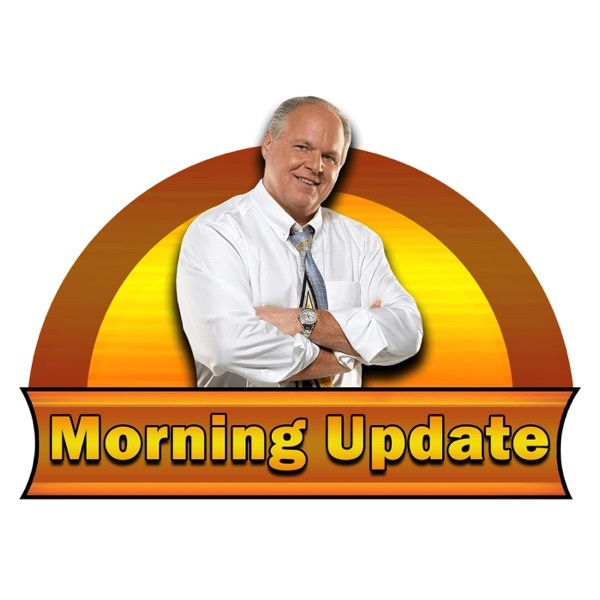 I am a loyal listener to the Rush Limbaugh program, but I am sick of having to listen to 5 minutes of commercials every couple of minutes on his program. Everything he says is rooted in his own political opinion. Why canât people just report the news instead of spreading biased opinions that pander to their base subjects? Sad! The king of talk radio in about two minutes! So perfect! I am always working during the actual broadcast, and it is so awesome to have a very short daily insight from the greatest talk show host of all time! I donât like long podcasts anyway, so this is literally the perfect way to know what is going on. Why are there ads with a 3 minute clip? I cant stand the ads. Stop lying to me about a great dress shirt. This is a 3 minute clip. Why are we getting ads on a 3 minute clip? Former Limbaugh fan here. Read his books and was a devoted listener for 10+ years. He simply panders to the Breitbart crowd these days, wonât challenge them, and refuses to ask whether any of it is good for conservatismâs long term health. This is a great opportunity to hear my Doctor of Democracy daily. Go get emâ Rush! Keep it going buddy, you are an inspiration to all of us that want real information and accurate analysis of events! Educational, pithy and plain funny. I really like the short, to the point sound bites. Easy, quick way to catch up on conservative topics. Thank you Rush! Was hoping he had improved with age; alas no. Makes me want to be a better person. Kidding. Sentence blacks to strict jail time when they do a fraction of the drugs Rush consumes, but gee, nothing happens to Rush, a rich, white guy. Class act picking on M. J. Fox. Few old examples of classic Rush. Coward and hypocrite over Hurricane Irma, so still the same old bully/coward. Will continue to look for intelligent conservative povs, not the pathetic, dishonest hate mongering this guy dishes out. Really enjoy this podcast but I wonder what all the SJWs are doing here with their one star ratings. Probably on here to pout and whine. Keep up the great work Ruch. This is too short. I unsubscribed. I get the full ð» show on YouTube since the live ð» show has so many commercials. I try to listen live but usually turn to my other content during a commercial. I first listened in 2000 - then returned in 2016. Smart ð».